What, Peacock eggs this early in the peafowl breeding season! 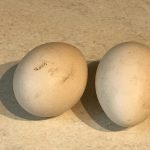 This week on Monday 5th of March 2017 our first peacock egg of the season was laid in one of the white peafowl pens. This was closely followed by another egg in the same pen yesterday. This is so early in the peafowl season, brought on by the mild winter. 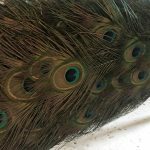 Usually the peafowl breeding season … Continue reading What, Peacock eggs this early in the peafowl breeding season! I need more peacock pens! In winter the peacock pens are important. 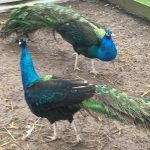 During winter the nights draw in and we get the first frost of the winter we open up the breeding pens and let the peacocks move around in much bigger territories. Mixing the breeds, giving the peafowl a change of scenery over the winter months. We also use this … Continue reading I need more peacock pens! Time to move the peachicks into the field pens! Some of our peachicks are now six and seven months old so we need to move the peachicks! The early hatched peachicks want a little more space to fly around in. They are now almost fully grown. Moving the peachicks into one of the field pens always requires a lot of preparation to get the … Continue reading Time to move the peachicks into the field pens!